Even at a gathering of employment lawyers, HR professionals, and compensation veterans, one of the easiest ways to clear the room is to begin a discussion on the regular rate of pay. Few other topics, even within the general subject of wage and hour law, evoke such a universal sense of bewilderment, if not unbridled disdain. On March 29, 2019, the U.S. Department of Labor published a notice of proposed rulemaking to update—for the first time in half a century—several of its regulations on how to calculate the regular rate. The proposed rulemaking aims to clear up some of the specific regular rate issues that have been the subject of confusion and litigation, and comes on the heels of the DOL’s proposed new overtime rule, described in our earlier post. Section 7 of the Fair Labor Standards Act generally prohibits employment of overtime-eligible (i.e., non-exempt) employees for a workweek longer than 40 hours unless the employee receives overtime pay at a rate “not less than one and one-half times the regular rate at which [the employee] is employed.” The “regular rate” is “deemed to include all remuneration for employment paid to, or on behalf of, the employee” except for the eight categories of excludable compensation that are listed in the statute. The principles for calculating overtime pay based on the regular rate are fleshed out in Part 778 of Title 29 of the Code of Federal Regulations. Additional guidance from the DOL with respect to the regular rate is included in Chapter 32 of the agency’s Field Operations Handbook. DOL opinion letters also address various regular rate and overtime calculation issues. The regular rate is calculated on a workweek basis. In other words, each workweek stands alone for regular rate and overtime purposes. The workweek is a fixed and regularly recurring period of 168 hours—seven consecutive 24-hour periods. The employer can determine when the workweek begins. The “million dollar question” for regular rate calculation is what is included in “total remuneration” and what is not. The statutory exclusions govern, but they don’t clearly answer every fact pattern an employer might face. Payments for time that would typically not qualify as hours worked—such as for bona fide meal periods—may be excluded from the regular rate. Expense reimbursements need not be incurred “solely” for the employer’s benefit for the amount to be excluded from the regular rate. The value of employer-provided wellness programs, onsite specialist treatment, employee discount programs on retail goods or services, and certain tuition benefits may be excluded from the regular rate. Tuition programs: The agency seeks to clarify the circumstances under which tuition programs, such as reimbursement programs or repayment of educational debt, may be excluded from the regular rate. In doing so, the DOL seeks public comment on specific tuition-related questions that may be found here. Discretionary bonuses: The DOL proposes examples of discretionary bonuses that may be excluded from the regular rate, including “employee of the month” bonuses, bonuses awarded with no pre-established criteria, or severance bonuses. The agency seeks comment on other types of bonus compensation that may be excluded from the regular rate. Benefit plans: The DOL also proposes to provide additional examples of benefit plans, including accident, unemployment, and legal services that may be excluded from an employee’s regular rate of pay. The agency seeks comments and data on other types of programs that should be included as examples of excludable benefit plans. Call-back pay and payments similar to call-back pay: Currently, the FLSA regulations on call-back pay and similar payments require inclusion of those amounts in the regular rate where the work requiring such payments is “infrequent and sporadic.” The proposed change eliminates the phrase “infrequent and sporadic” and clarifies that exclusion only applies where the work has not been prearranged. Basic rate: In some circumstances, the FLSA allows employers to calculate overtime compensation based upon a “basic rate” rather than the “regular rate.” The “basic rate” permits a calculation that excludes “additional payments in cash or in kind which, if included in the compensation of overtime . . . would not increase the total compensation of the employee by more than 50 cents a week on the average for all overtime weeks.” The proposed change eliminates the “50 cents” language and replaces it with “40 percent of the applicable hourly minimum wage under [FLSA Section] 6(a)[. ]” This change allows the calculation of the excluded additional payments to be based upon the current and future minimum wage under the FLSA. The deadline for submission of public comments is May 28, 2019 to submit comments, after which the DOL will ostensibly issue a final rule with an effective date to be determined. Instructions for submitting comments can be found here. 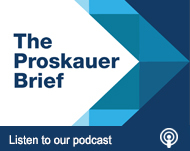 Bookmark Proskauer’s wage and hour blog for information on the latest issues and developments affecting employers nationwide.